The founder of Krav Maga - Imrich ("Imi") Sde-Or*, founder of Krav Maga, was born in 1910 in Budapest, which at the time was one of the centers of the Austro-Hungarian Empire. He grew up in Bratislava, the capital of Slovakia, in a home where sports, law, and Central European education were equally respected. Samuel Lichtenfeld, Imi's father, was undoubtedly quite a unique figure. At age 13 he joined a traveling circus, and for the next 20 years engaged in wrestling, weightlifting, and various demonstrations of strength. For him the circus was also a school, where he met people involved in a wide variety of sports. These people taught Samuel what they knew - including various martial arts. With his father's encouragement, Imi became active in a wide range of sports. He first excelled in swimming, and subsequently in gymnastics, wrestling, and boxing. In 1928 Imi won the Slovakian Youth Wrestling Championship, and in 1929 the adult champion-ship (in the light and middle weight division). That year he also won the national boxing championship and an international gymnastics championship. During the ensuing decade, Imi's athletic activities focused mainly on wrestling, both as a contestant and a trainer. In the mid thirties, conditions began to change in Bratislava. Fascist and anti-Semitic groups appered, determined to upset the public order and harm the city's Jewish community. Imi became the un-crowned leader of a group of young Jews, most of them with a background in boxing, wrestling, and weightlifting. This group attempted to block the anti-Semitic bands from entering the Jewish quarter and wreaking havoc there. 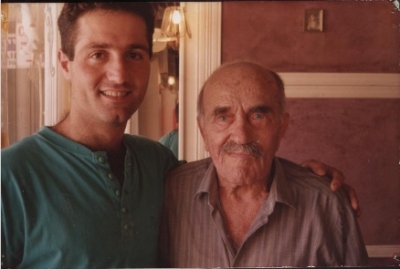 In 1940, having become a thorn in the side of the anti-Semitic inclined local authorities as a result of his activities, Imi left his home,family, and friends and boarded the last immigrant ship that succeeded in escaping the Nazis ' clutches. The vessel was an old riverboat named Pentcho, that had been converted to carry hundreds of refugees from Central Europe to the land of Israel (then called Palestine). In 1944 Imi began training fighters in his areas of expertise: physical fitness, swimming, wrestling, use of the knife, and defenses against knife attacks. During this period, Imi trained several elite units of the Hagana and Palmach (striking force of the Hagana and forerunner of the special units of the IDF), including the Pal-Yam, as well as groups of police officers. 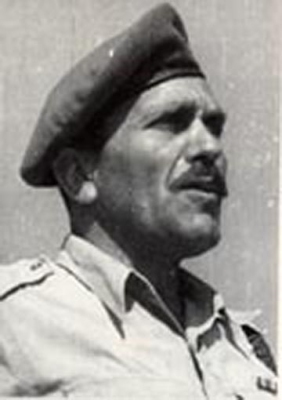 In 1948, when the State of Israel was founded and the IDF was formed, Imi became Chief Instructor for Physical Fitness and Krav Maga at the IDF School of Combat Fitness. 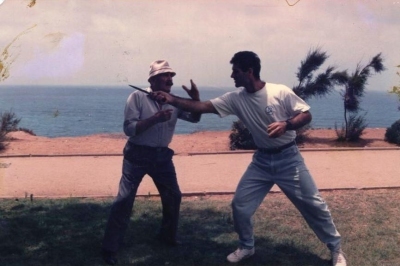 He served in the IDF for about 20 years, during which time he developed and refined his unique method for self-defense and hand-to-hand combat Afterhe finished his active duty, Imi began adapting and modifying Krav Maga to civilian needs. The method was formulated to suit everyone - man and woman, boy or girl, who might need it to save his or her life or survive an attack while sustaining minimal harm, whatever the background of the attack - criminal, nationalistic, or other. 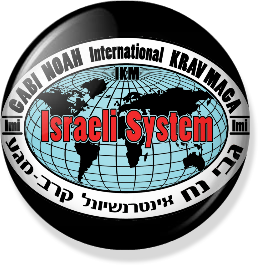 To disseminate his method, Imi established two training centers, one in Tel Aviv and the other in Natanya. 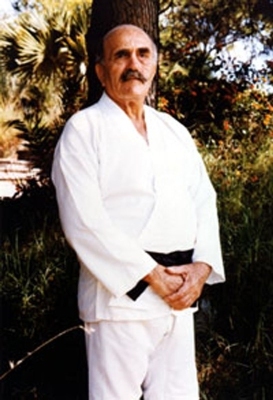 Imi, a teacher, a fighter and a great human being, passed away on the 9th of January 1998 at the age 87, his successors continue to disseminate his teachings throughout Europe and the entire world from the International Krav Maga Federation.